For one afternoon, teenagers glueing themselves to their phones was totally understandable. Because on Friday, March 22, they finally could log in to learn whether they were admitted to UCLA’s class of 2023. 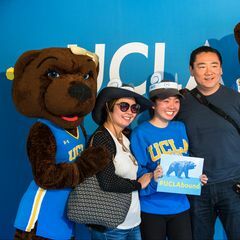 From OMG!s to tear-filled expressions of shock and gratitude, students shared their excitement on Instagram, Twitter and Facebook, while UCLA social media accounts celebrated with them. 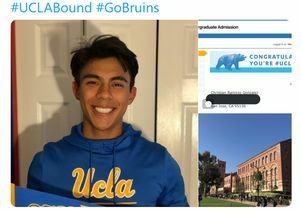 Screengrab from Christian Ramirez Gonzalez of his Tweet about getting accepted to UCLA.